Spinning wheel emergencies – are you prepared? World War One Friction Drive Wheel – Found! The very first spinning wheels? JASON’S GOLDEN FLEECE — MYTH OR PHENOTYPE? First I must reassure you that I and mine, and the museum I’m about to describe, are all unharmed by the 7.8 magnitude earthquake that struck New Zealand in the early hours of the 11th of November. Many people and places weren’t so lucky – you will have seen pictures of the devastation in and around Kaikoura, and perhaps also of the buildings in Wellington’s centre that haven’t held up as well as they should have (though to be fair, most of Wellington is fine). Earthquakes are a fact of life that we have to cope with, if we want to live in this beautiful land beside the junction of two tectonic plates. I may talk more about that some other time. Then a team of local volunteers joined them together and lovingly restored (but by no means “modernised”) them. Farming families and descendants from around the Wairarapa and further afield contributed memorabilia, knowledge, and often their time. Here the story of sheep and wool in New Zealand is told, from the beginning: Captain James Cook put two sheep ashore in 1779, but they ate a poisonous plant and died. In the 1800s more sheep arrived, mostly Merinos, and soon large-scale farming was spreading. In the 20th century Romneys and other stronger-woolled breeds began to predominate, their wool and meat being among our main exports. Numbers are down now, but there are still six sheep for every citizen. 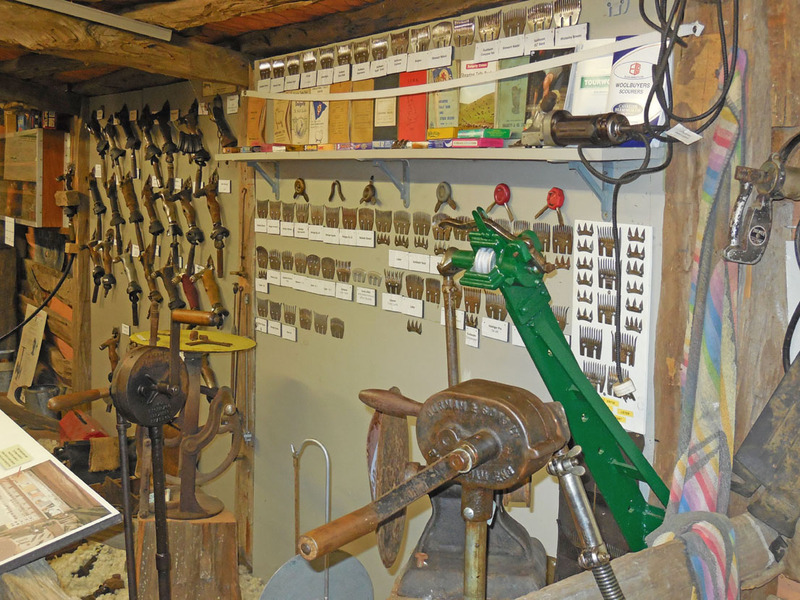 On view are examples of shearing and sheep-farming equipment (some items have changed surprisingly little over the years) and mementos of the wool industry old and new. 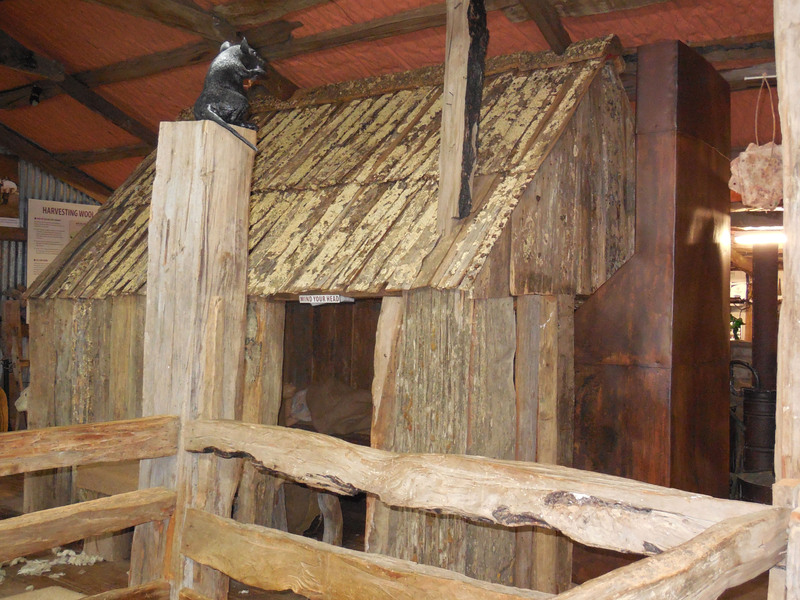 There’s even an original bushmen’s hut that was built in the late 1800s for the use of bush fellers and fencers clearing land for sheep farming – step inside and feel yourself a real pioneer. 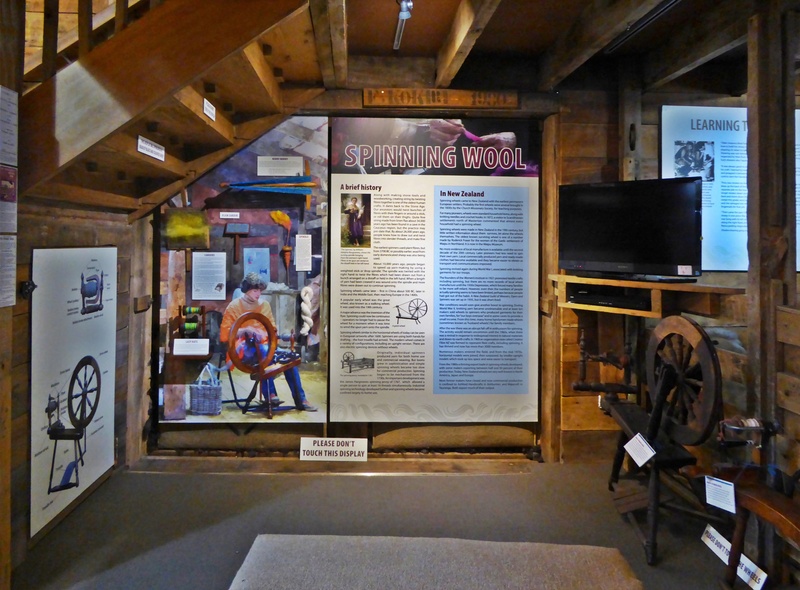 There’s plenty about wool and its uses, and a new display about the history of spinning that I’m particuarly proud of having helped with. 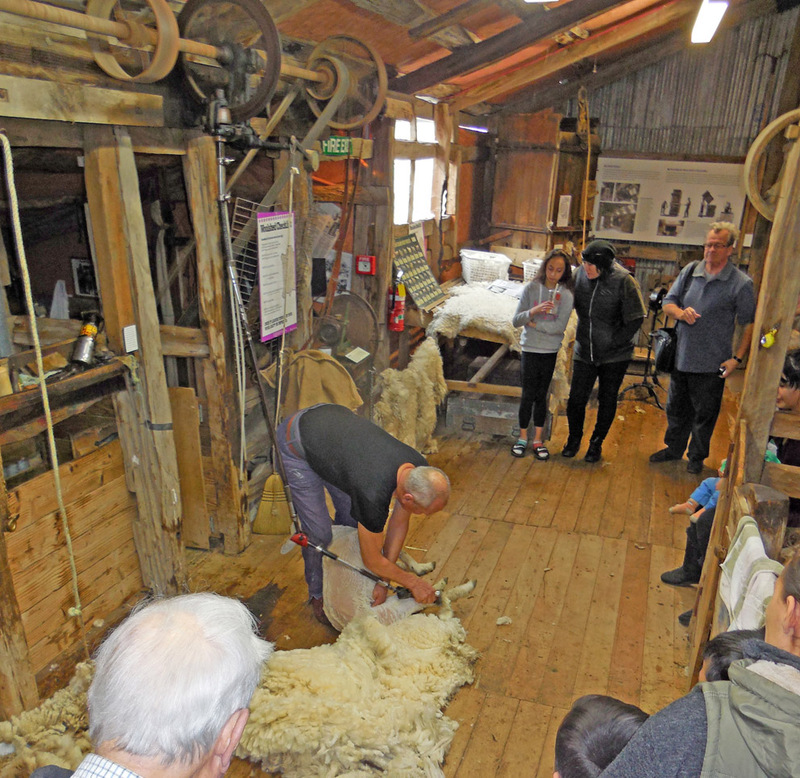 Wool shed volunteers entertain and instruct visitors with real-life shearing during summer weekends or if a group has booked ahead. 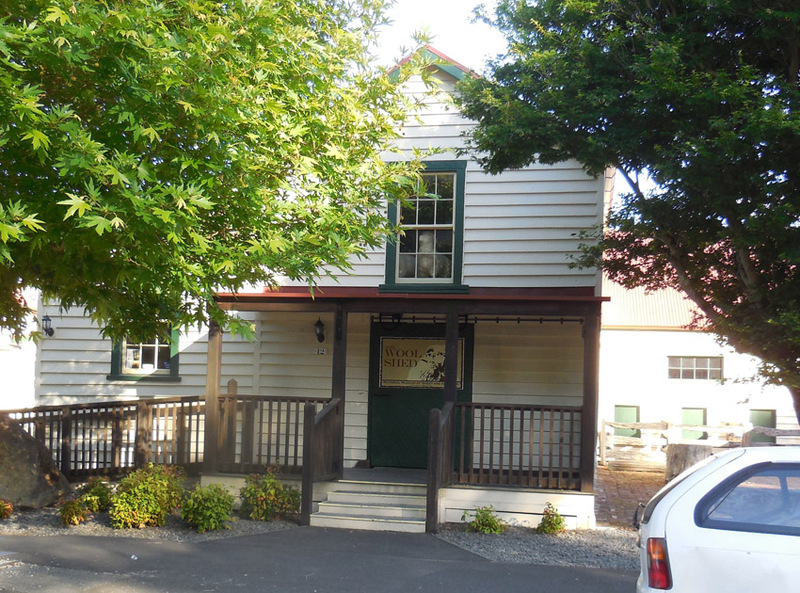 When you visit you may also find the Wairarapa Spinners and Weavers Guild: we meet every Wednesday and the first Saturday of each month except January. There are about 90 of us, spinners, weavers, knitters and felters. Weaving happens upstairs where members keep several looms (including one set up for visitors to “have a go”). Downstairs we ply our other crafts, and we love to chat with visitors. 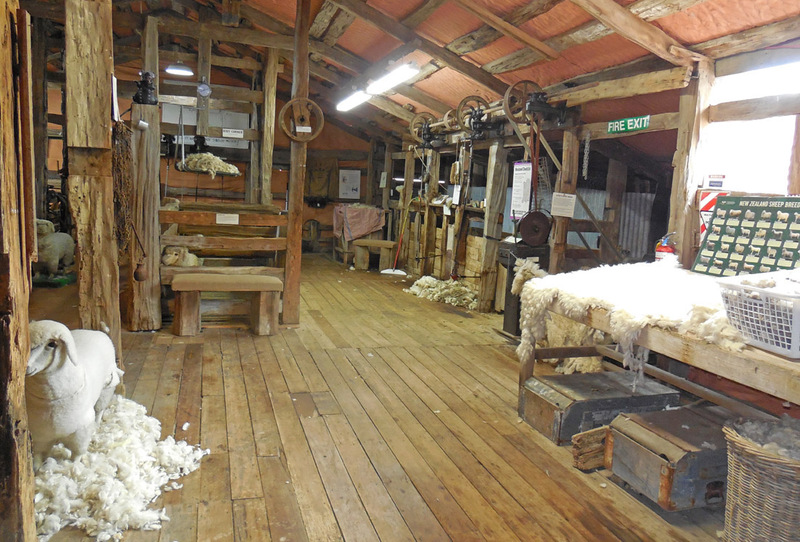 So to anyone with an interest in sheep or wool – do visit if you get the chance. We’d love to see you! This entry was posted in Uncategorized and tagged Masterton, shearing, sheep, weavers, wool, Wool Shed Museum on November 22, 2016 by maryinnz. Competitive shearing is big in New Zealand – in fact some of us think it should be an Olympic sport! Shearers compete at agricultural shows all over New Zealand. 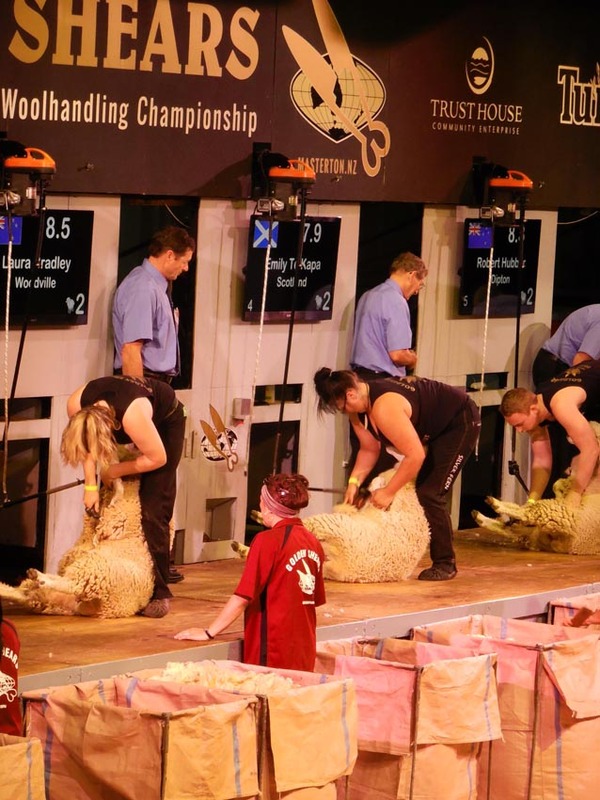 The season culminates in the Golden Shears, a tremendous event that attracts international competitors as well as shearers from all over New Zealand. It’s held in Masterton in early March each year. In 2015 I attended many of the sessions, and described the experience (and other Wairarapa attractions) in Yarnmaker, an interesting UK magazine about all things fibre. I loved “the Shears” – read about it here. This entry was posted in Uncategorized and tagged Golden Shears, Masterton, shearing, wool handling, wool press, woolhandling, woolpress on July 10, 2016 by maryinnz.